The part divestment of the Hambantota Port was justified by Thilan Wijesinghe, the head of the National Agency for Public-Private Partnership (PPP), who participated as the chief guest in the Capital Markets Conference held recently in Colombo. “It was eating into the profits of the Ports Authority,” he claimed. 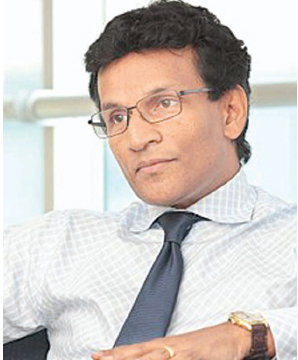 Championing the PPP movement, Wijesinghe said there have been “over US$ 6 billion in PPP transactions financially closed in the last 20 years and operating successfully.” Noting some failures, he said, “the Caltex monopoly for 20 years is just ridiculous.” Wijesinghe envisaged that “SAGT and CICT would list stakes,” as understood when signing the agreements. Wijesinghe revolving his comments on the theme that “capital markets are where they should be, commented on the detrimental effect of statements made by politicians on capital markets. Reminiscing on his earlier days, he noted that when Lakshman Kadirgamar, G L Pieris, and Sarath Amunugama mentioned about the Workers’ Charter, and the markets began to panic. Commenting on market developments, he said, that in the 1990s, sentiment was driven by the war. There however, was good regulation. This changed in the 2000s with poor regulation, declining standards of research and poor ethics by market participants.” Wijesinghe alleged that the SEC has done nothing with regards to the pump and dump frauds with the EPF. Pointing out that there is conflict in the industry, he said the “super gains tax, the mere threat of capital gains tax, the suspension of the Port City and the conflict arising due to demutualization between the broker and regulator,” contributed to the negative market sentiment. He suggested that PPPs would help the government better handle SOE losses without really impacting the freedom of the government policy. Directing his comments to future developments, he said, the Port City could provide financial services and boast tourism and Hambantota would speedily evolve into an economic zone. Wijesinghe stressed the importance of free trade agreements and emphasized the need of getting into global supply chains. The event was organized by UTO EduConsult and partnered with Adl Capital, LOLC Al-Falaah, FORUS, and JAAG.